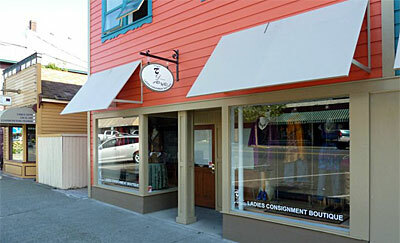 Located in Ladysmith BC, The Top Drawer is a high quality womens consignment boutique, the store where fashion only looks expensive. Our mission is to accept, for resale, quality clothing in a friendly, welcoming atmosphere! Shoppers are always delighted to find fabulous like-new, high-end specialty and brand name clothing, shoes, purses and accessories for a fraction of retail price. Plus, our consigning partners love the benefit of receiving money for perfectly fine items that were once overflowing from their closets. It's a match made in heaven. On a daily basis, we receive quality purses, seasonal hats, scarves, shoes and boots. We keep our selection fresh by doing markdowns and donations on a regular basis. To add to the experience, we also bring in new clothing and jewellery that is fun and reasonably priced. Are you a consigner or interested in becoming one? Check out the FAQs then drop us a line. Please stop by to see what we have in stock on any given day. We'd love to see you.